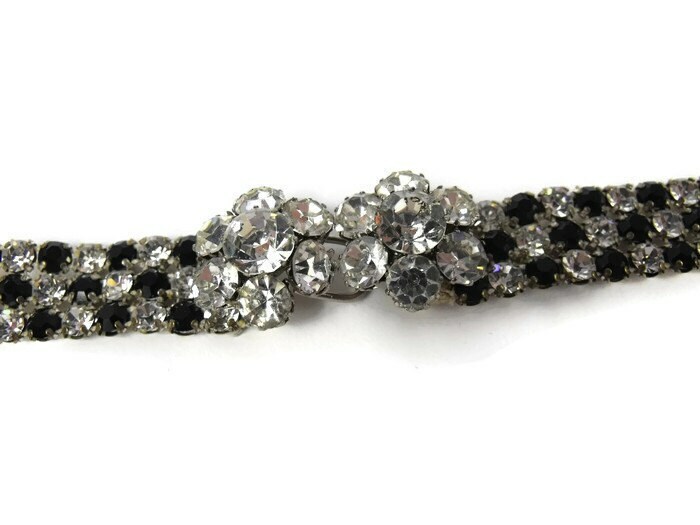 Exquisite Antique Rhinestone Belt circa 1940's is in excellent vintage condition. All of the rhinestones are intact and have maintained their gorgeous brilliance. 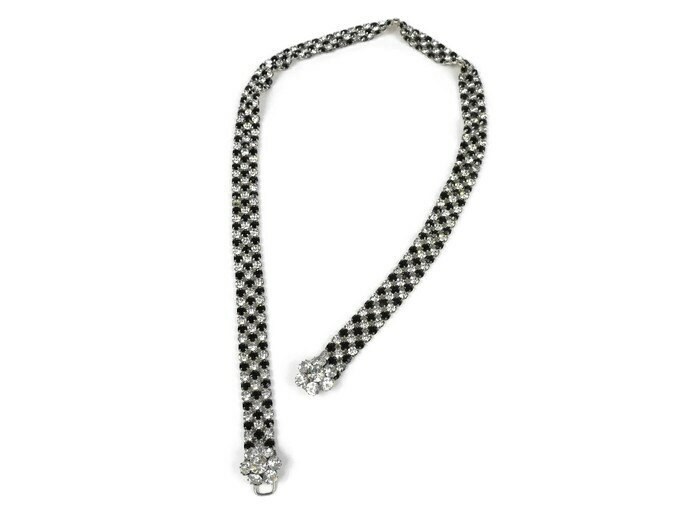 This beauty is of clear and black diamond cut glass rhinestones and are set in a silver toned claw setting. 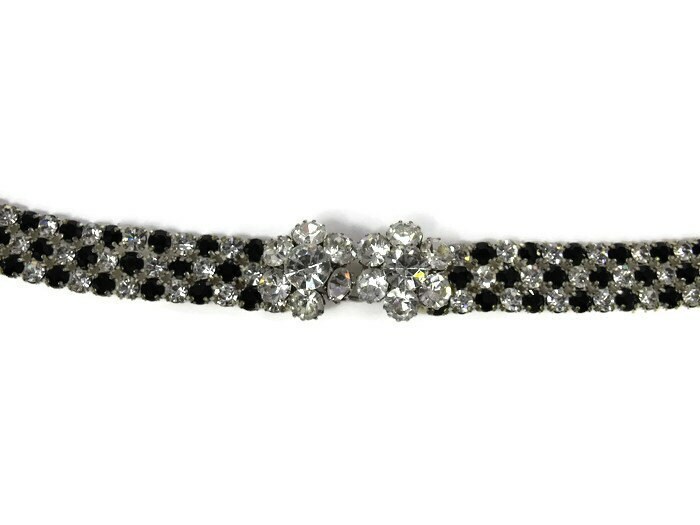 The spectacular art deco belt is perfect with any evening wear or as a Bridal belt. Pair it with some jeans and a leather jacket and it becomes perfect Rocker attire! This is a vintage item from the 1940's and has been previously loved. Belt will be shipped via Canada Post. Fedex available upon request.